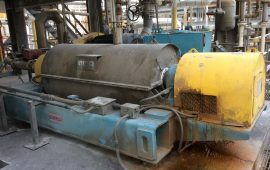 Site Evaluations - NCD Separation Solutions Ltd. 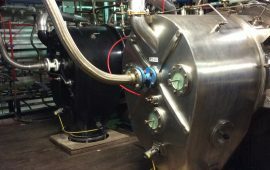 Prior to investing in work of any kind on a proposed, or existing, centrifuge installation – be it mechanical, electrical or process related, it is strongly recommended that time is spent in carrying out a detailed evaluation of the installation as a whole, not just centred around the centrifuge in isolation. There are a vast array of individual areas that collectively may have dramatic effects on the efficiency and performance of the centrifuge both upstream and downstream, key areas which are invariably overlooked. 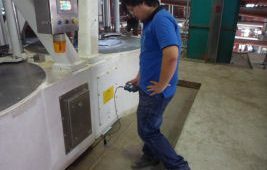 Experience has shown that there are well in excess of 300 individual questions that must be answered when evaluating the performance of a centrifuge installation, be it an existing installation or one proposed for the future. NCD Separation Solutions has formulated these questions into a detailed survey questionnaire. Once all the data has been fully collated an excellent overview of the situation will emerge, highlighting the key areas that require modification. Such a comprehensive survey normally takes one full day on site to complete, providing all the relevant information can be made available and recorded in a timely and cost effective manner. Following the survey a detailed written report, outlining the findings and any recommendations, will be issued. The report will be sufficiently detailed that it will allow the engineer to clearly identify what areas need addressing and what the next phase of the evaluation should be. A normal natural progression from the site evaluation would be to undertake some form of process optimisation.